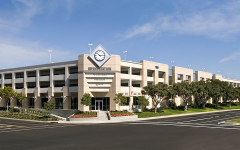 Serving Amtrak, Metrolink and Orange County Transportation Authority (OCTA) riders, the Irvine Transportation Center Parking Structure encompasses four levels on three stories, for 490,000 SF. 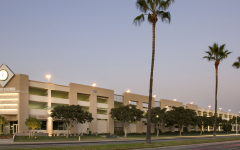 Each level is approximately 120,000 SF, equivalent to about 2.2 football ﬁelds. Three elevators are located at the main exit pathways, with a fourth on the opposite end. 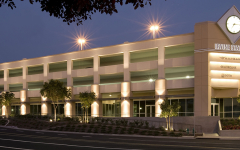 To advise users about available spaces on each ﬂoor, the parking structure is equipped with a state-of-the-art electronic car-counting system.